Jaguar design director Ian Callum has been awarded the Minerva Medal, the top accolade dished out by the Chartered Society of Designers. No other automotive designer has won the award since Giorgetto Giugiaro in 1981; previous winners include storied British architect Lord Rogers and fashion designer Mary Quant, of ‘60s fashion fame. It’s a big feather in the cap for Callum, who’s steadily overhauled Jaguar’s design language since joining the company’s styling department in 1999. His aim has been to dispatch pipes and slippers to the wastepaper basket in the corner of retired colonels’ drawing rooms - while ushering in a new era of more contemporary, edgy designs. Not all have been entirely successful; the limo-sector-radical XJ put a few noses out of joint, but the thrust of Callum’s modernisation is widely regarded a success. But the Minerva Medal is also in recognition of his work at Ford and Aston Martin, said the Chartered Society of Designers. The Duke of Edinburgh will present the Minerva Medal to Callum at an event in St James’s Palace in London this evening. David Callcott, the society’s president, said: ‘The Society is delighted that the 2014 Minerva Medal has been awarded to Ian Callum, who has successfully demonstrated the value of strategic design within an organisation. Which rather makes us wonder: how much longer does Ian Callum have left in him? Is retirement beckoning for this 60-year-old, or will he be around to design the next generation of Jaguars? 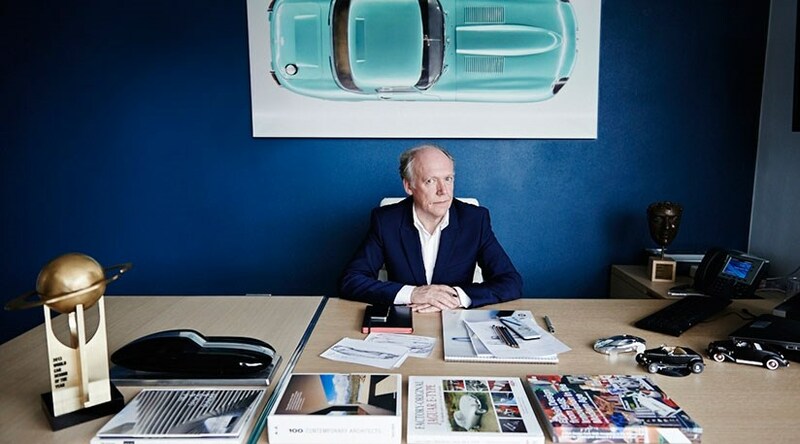 Click here for a CAR magazine interview with Ian Callum.